Canada is one of the top countries wherein payday lending business is showing profit since decades. With so many storefronts opening in a short span of time, it was evident that payday companies from other countries will soon want to make their presence in Canada. 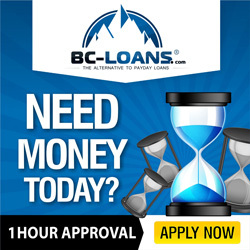 With that being said, we have seen many companies trying to lay their hands on Canadian payday markets and Canada is now welcoming a newcomer in the payday lending ground. It has been reported that it wants to wobble up the customer financing ground with its data analytics.On Aug. 22, a London-based lender Active Securities Ltd. stated that it would be entering Canada, finalizing its Canadian branch of 247Money box operations in Vancouver, British Columbia. It would be using the same business model as other payday lenders, what makes it different from the existing competitors is that it relies on the risk engine to create loan conditions. This allows this new company to capture more than just customer’s credit score, and it also assures to give consumers payday loans without harming their default rate. He also said that “We’ve created a series of algorithms that is fed by various data streams like traditional credit reference agencies, on-site behavioral analytics as well as social media feeds, so that the risk score cards are extremely adaptive and always updated.” The company is trying to use measures and algorithms that are new to the country and can certainly help them capture the market more quickly that they have estimated. He further added, “While conventional factors that lead to loan approval – like income, credit score and repayment history – it may work for customary models of loan lending that are long-term, those do not essentially concern to short-term finance”.